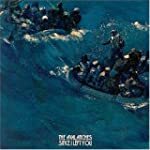 Ten years since the release of their one and only album, the Avalanches' follow-up to Since I Left You may finally see the light of day. A spokesperson for the notoriously secretive band has revealed that the long-awaited LP will be "finished" once guest vocals by chillwave crooner Ariel Pink have been recorded. Pavlovic was characteristically forthright when asked about the record, stating that the only thing remaining is "some tweaking to the production elements" and that a lead track from the album will, most likely, be heard this year, with the album itself out early next year.